Hummingbird bush. Can we even count how many plants have that name? Well, here’s one: Dicliptera suberecta. 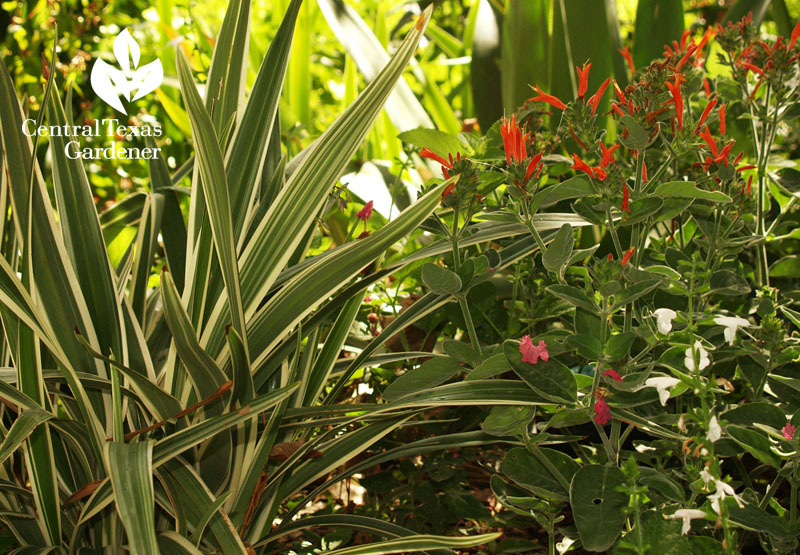 Indeed, its summer flowers do attract hummingbirds. Dicliptera is also called Mexican honeysuckle. Ah, and SO is Justicia spicigera. 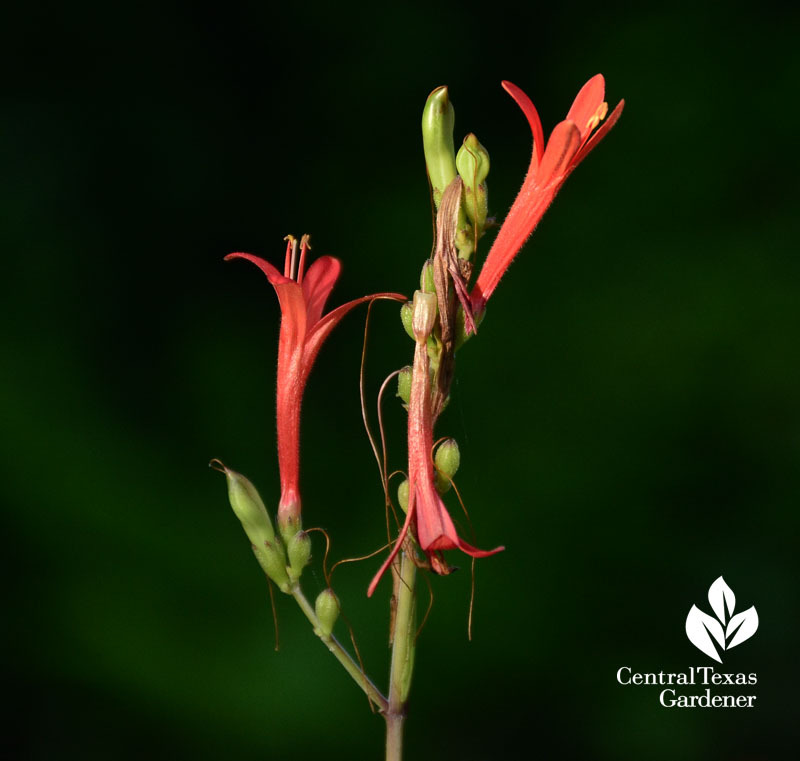 Neither are honeysuckle vines; perhaps the name comes from the sweet flower nectar that attracts hummingbirds. 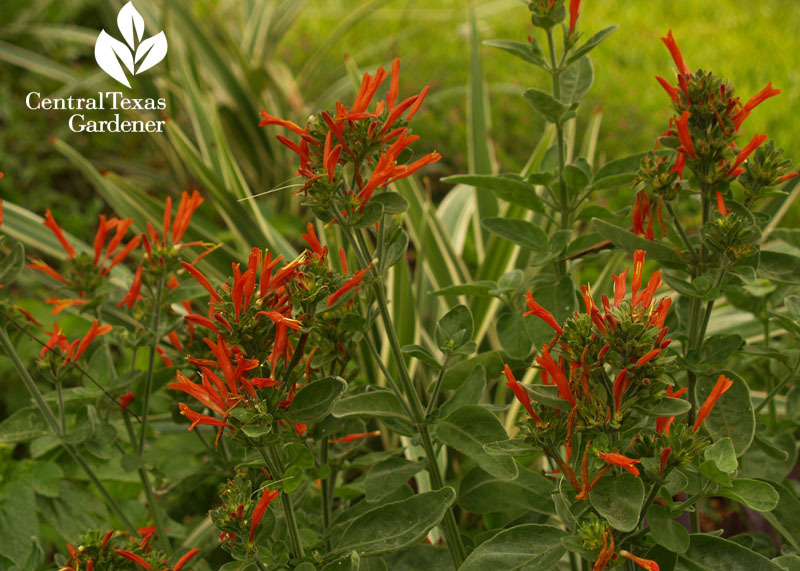 Flame acanthus (in the Acanthus family) is yet another called “hummingbird bush.” Its botanical name, Anisacanthus quadrifidus var. wrightii, is such a mouthful that it’s no wonder that someone gave it a nickname. And yes, my hummingbirds are all over it. 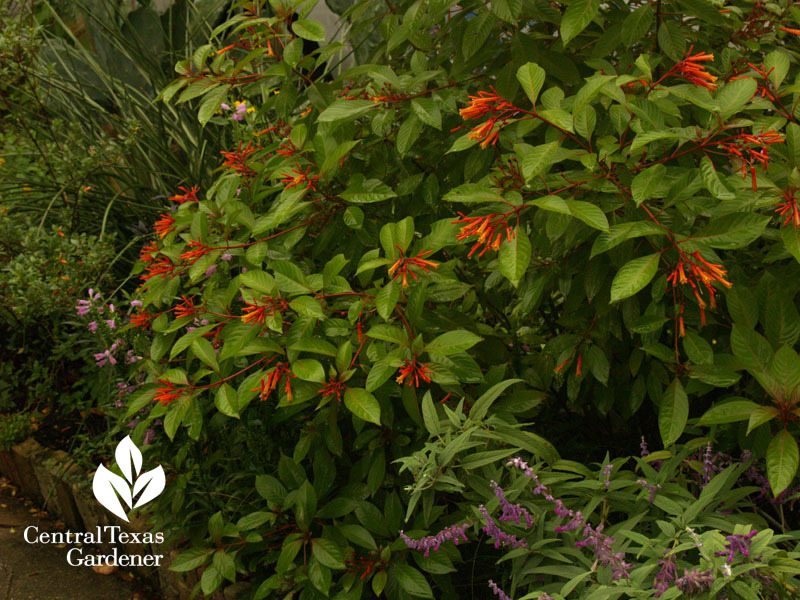 My head is starting to hurt, but here’s another “hummingbird bush.” This one is Hamelia patens. 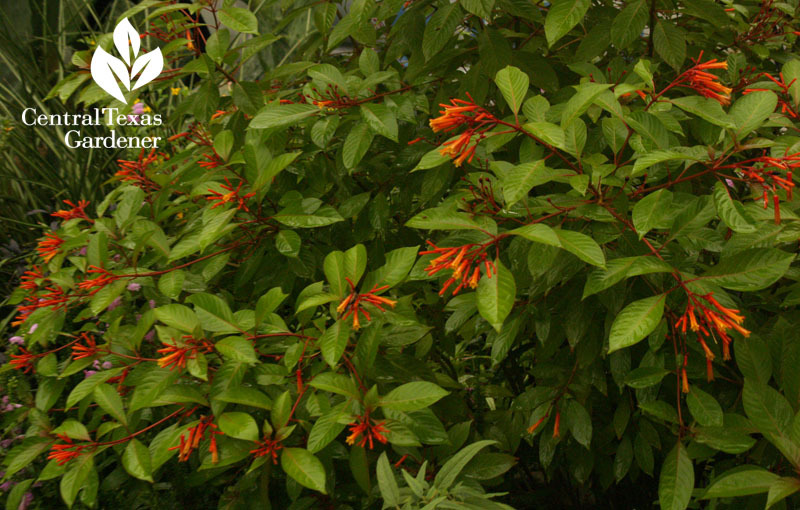 And it’s also called “firebush.” I don’t even want to think about how many plants have “fire” in their name. Honestly, hummingbirds could give a flying fig about what a plant is called. What DOES matter to us is that we can really mess up if we go by common name alone. 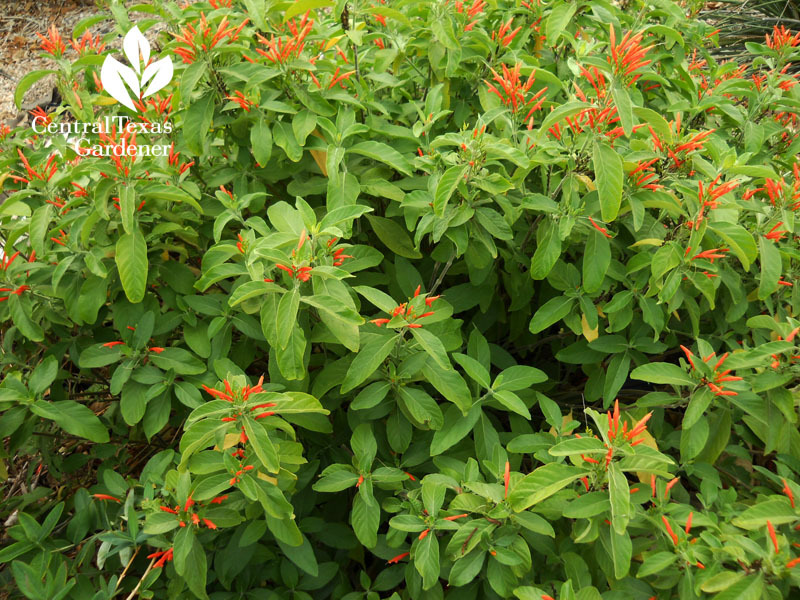 In common, though, these “hummingbird bushes” all have orange tubular flowers shaped for you know who. Beyond that, they are quite different. Dicliptera suberecta is an herbaceous plant to about 2’ tall. Wonderful silvery leaves. Sometimes it dies back in super cold winters but always returns. Accepts part sun to part shade. Perfect low-water companion for succulents like my Agave celsii. Joining it here: Dianella and Salvia coccinea, a friend to butterflies and bees, too. 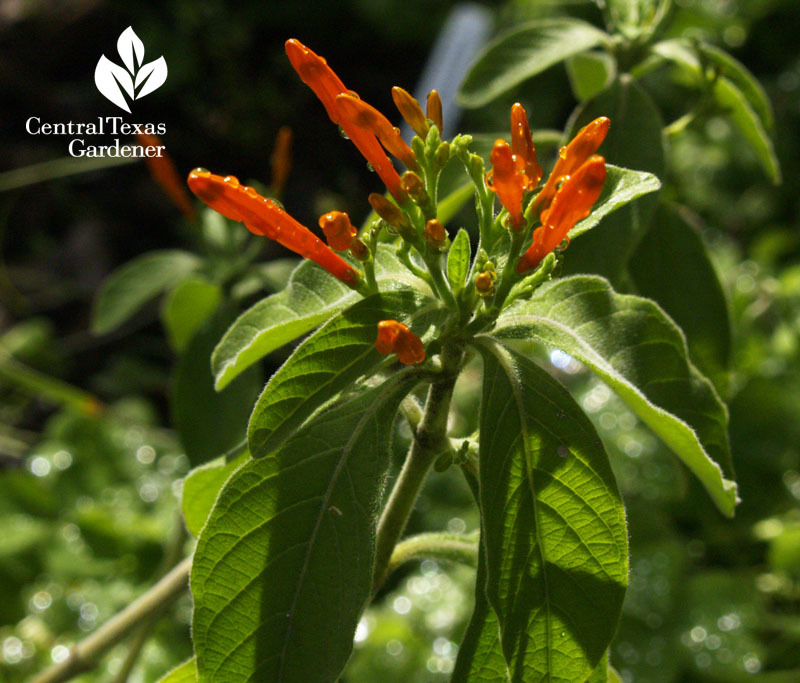 Mexican honeysuckle (Justicia spicigera) is another herbaceous plant to about 2-3’ tall. 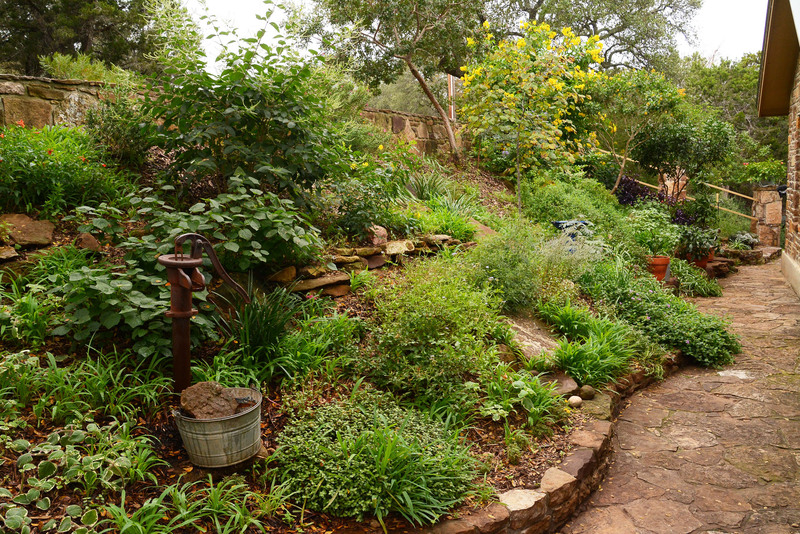 In warm winters or protected microclimates, it can remain evergreen. Usually, it freezes back, but returns. It’s a good one for part shade, though I’ve also seen it in lots of sun. More confusion! 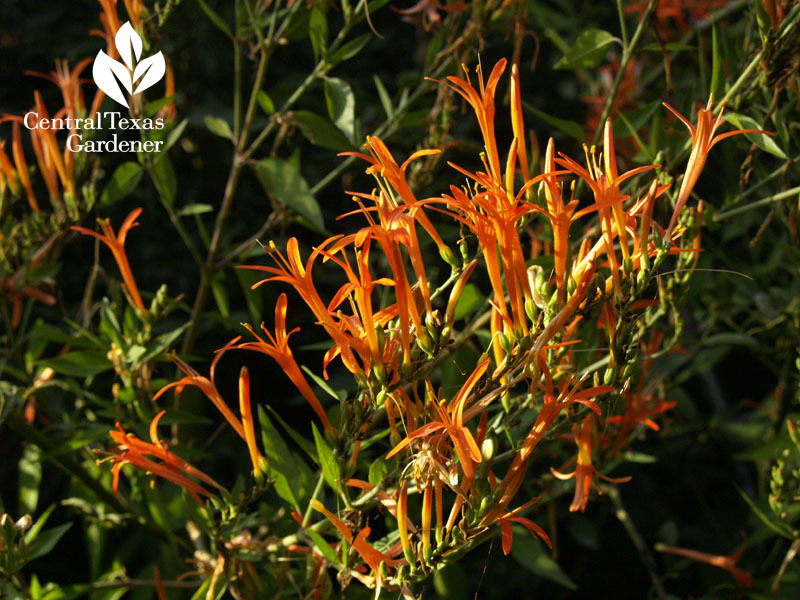 Flame acanthus (Anisacanthus wrightii) is a deciduous shrub about 2-3’ tall and almost as wide. It wants as much sun as you can give it, though in my garden it gets shade part of the day. It freezes back in winter. Cut it all the way to the ground. 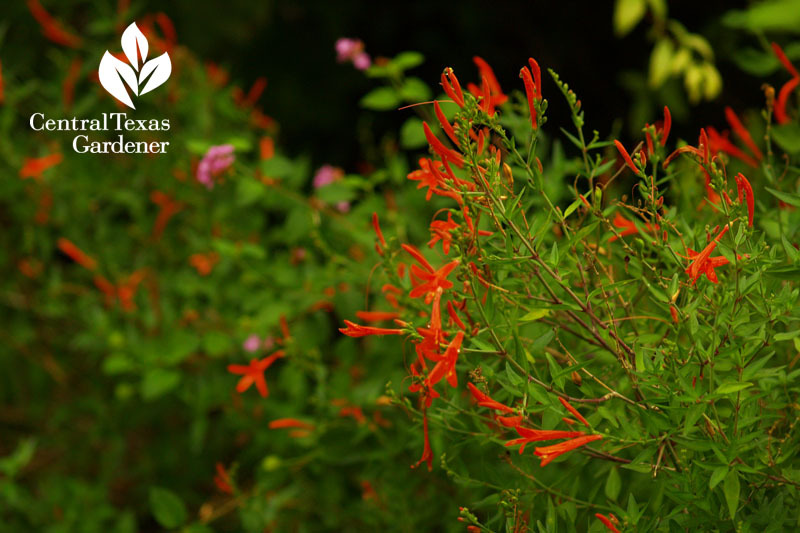 Hamelia patens is a sun-loving shrub, too, though it can take a little shade. It really performs best in sun. I’ve seen them almost 4’ tall but it’s in the 3’ range. It too, dies back in winter, so cut it straight to the ground. 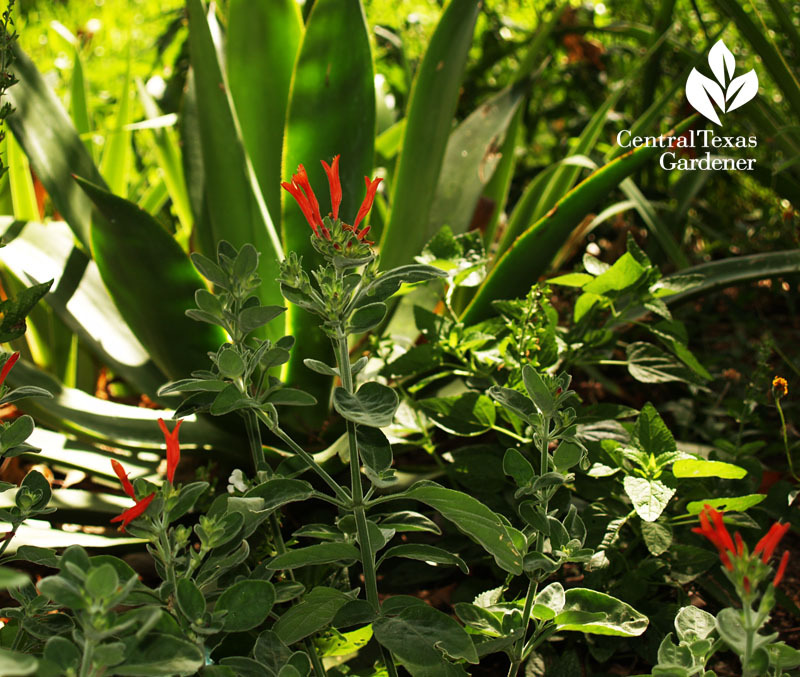 Joining it in Lucinda Hutson’s enchanting garden is Salvia leucantha, commonly called Mexican bush sage, a dynamic duo for wildlife in late summer and fall! 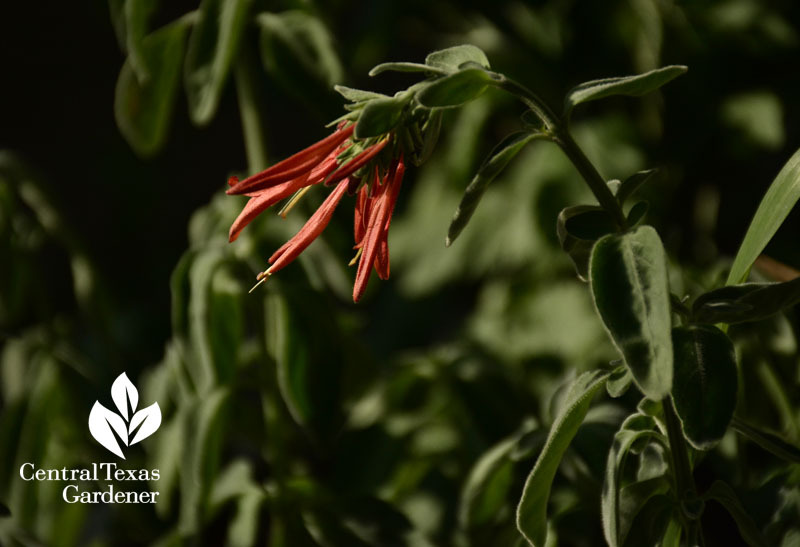 All are drought tough and grow in diverse soils, including my Blackland Prairie heavy soil. Plant a few and you’ll have lots of drop-by customers!